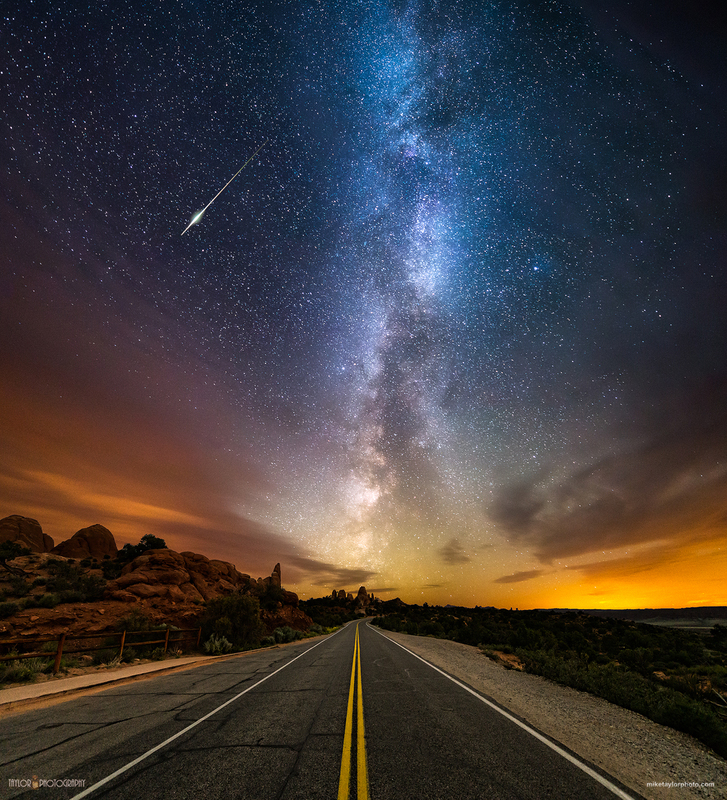 The photo was snapped by Mike Taylor, who’s earned such notoriety for his night photography that he’s begun hosting spring and summer workshops across Utah. Taylor composed this image from five long exposures, including four 25-second shots of the sky (ISO 4000) and one 282-second shot of the foreground (ISO 1600), all taken with a Nikon D600 and 14-24mm lens set at f/2.8. He stitched the sky together in Adobe Lightroom and processed the rest of the package in Photoshop. Much of the coloration can be attributed to the long exposures; the orange is due to simple light pollution, while the Milky Way looks bluer than in real life because of post-processing to offset the orange. But if you don’t mind a little exaggerated color in your shots, you’d be hard-pressed to find anything more beautiful.